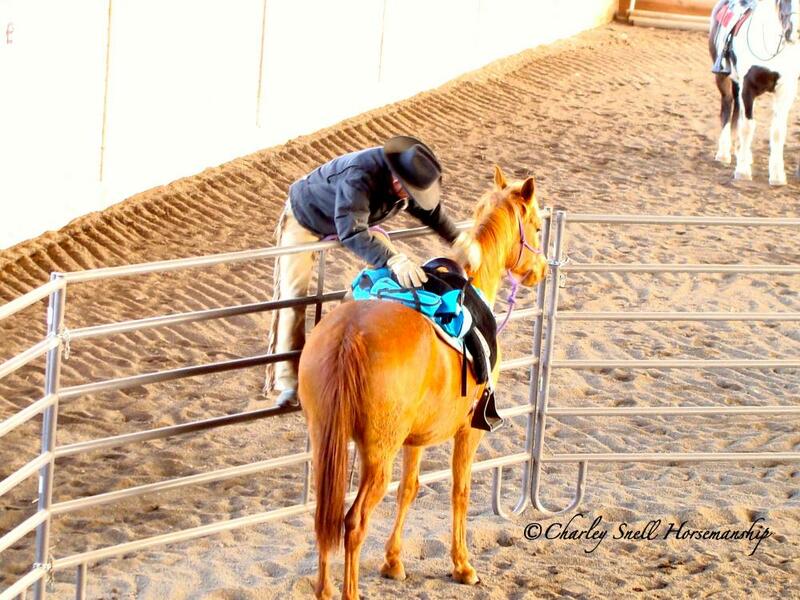 To the degree that you do not have a horses feet in your hands is the degree you are at his mercy. 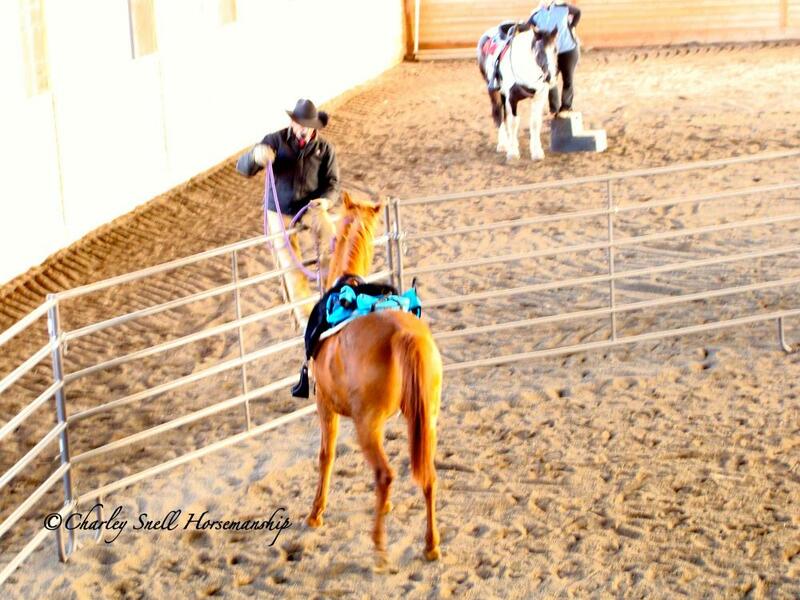 Here I am getting my rein hooked to the hind feet of this filly to get her alongside the fence. A lot can be accomplished from this point if done correctly. 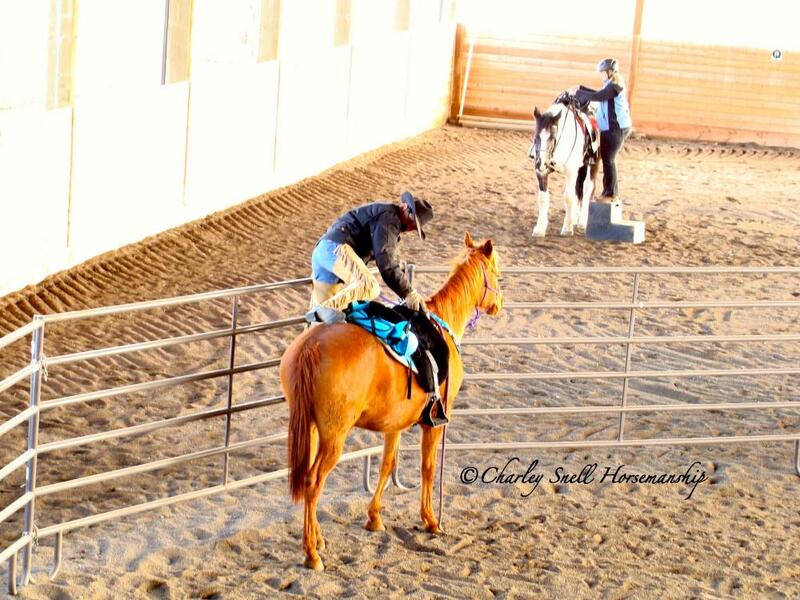 3 yr old Arab filly at Westons 3 day intensive horsemanship clinic. Checking her out and a bit of reassurance. 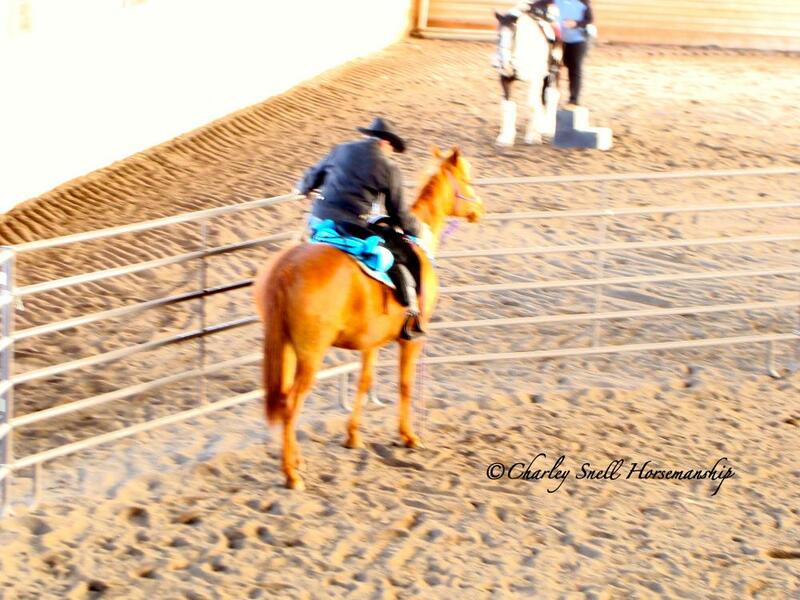 Asking for the hindquarters again. She found a good place and accepting some weight. Things above in preparation to mount.